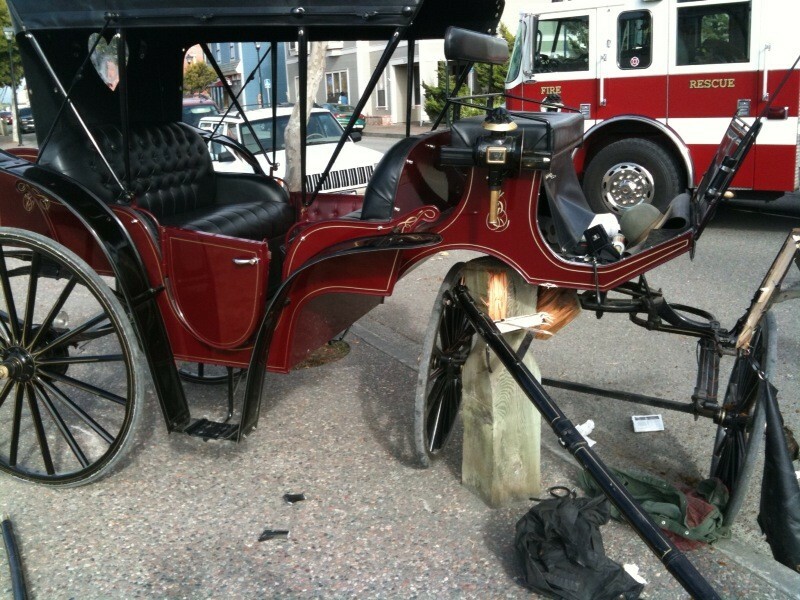 A horse-drawn carriage and its owner-operator were involved in a serious accident in Old Town Eureka tonight after the horse was reportedly spooked by skateboarders on the boardwalk. 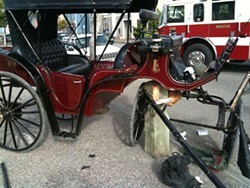 The carriage driver, Marty L'Herault, was seriously injured and transported to St. Joseph Hospital. 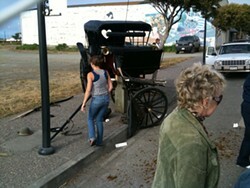 The horse was also injured, though able to walk, according to an eyewitness. UPDATE: Michelle L'Herault, Marty's wife, later said Cinnamon was fine. Jonathan Speaker, of Arcata, was inside the carriage with his wife when the accident occurred. 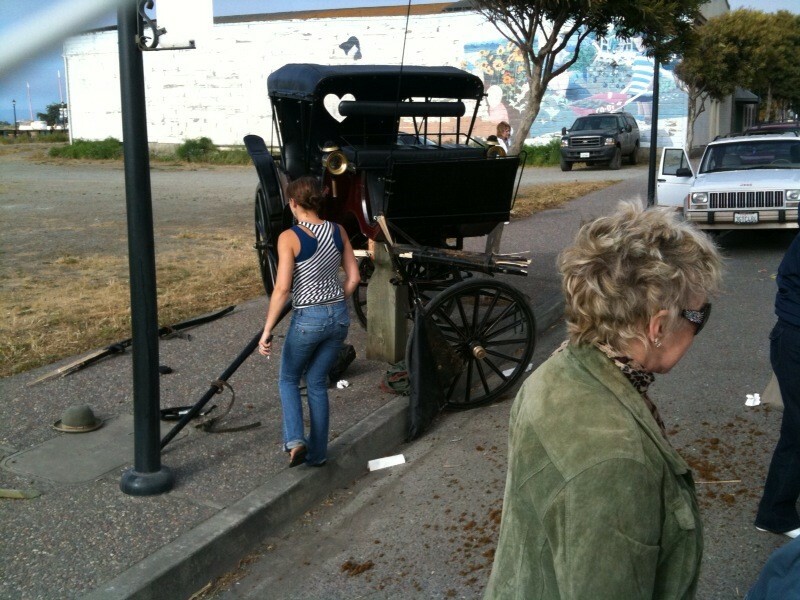 He said the horse, named Cinnamon, was pulling the carriage through the gravel parking lot near First and D streets in Eureka when the sound of skateboarders on the boardwalk panicked her, sending her off at a full gallop. She then smashed into a parked car, which the carriage side-swiped immediately afterward. The carriage's momentum was stopped by the wood pillar pictured above, while L'Herault was evidently pulled by the horse's reins into the street. He appeared to suffer severe head trauma, judging by pictures sent in by an anonymous eyewitness. Good Samaritans stayed with L'Herault until paramedics arrived, according to Speaker, who added that the carriage driver was in and out of consciousness. St. Joseph Hospital could not release any information regarding his condition. A call to the Eureka Police Department has not yet been returned. Speaker said he and his wife were uninjured.